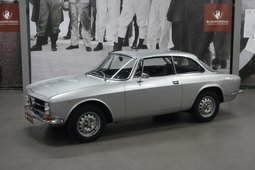 Unique and very well preserved Alfa Romeo GT 1300 Junior. Alfa is performed in the well-known and enthusiastically acclaimed color Alfa Rosso. 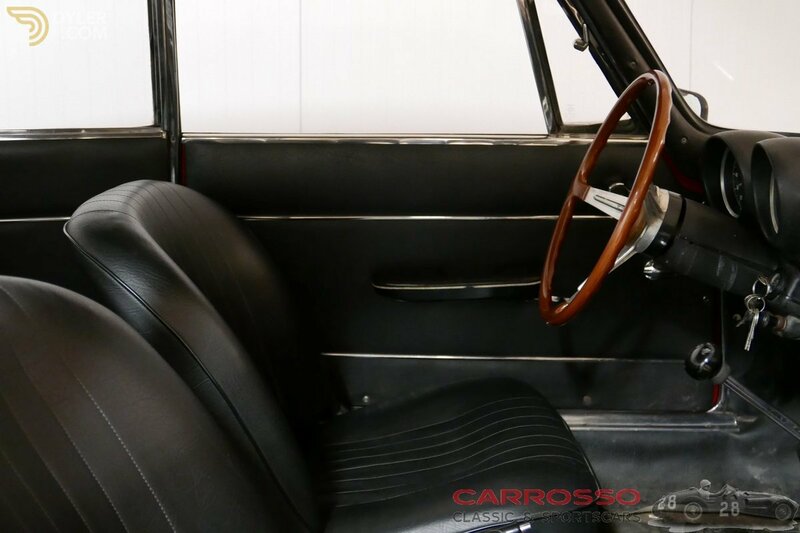 The amazing bodywork that is still hard, the color, the condition of the black interior and the unsurpassed Italian design come together uniquely in this beautiful example. 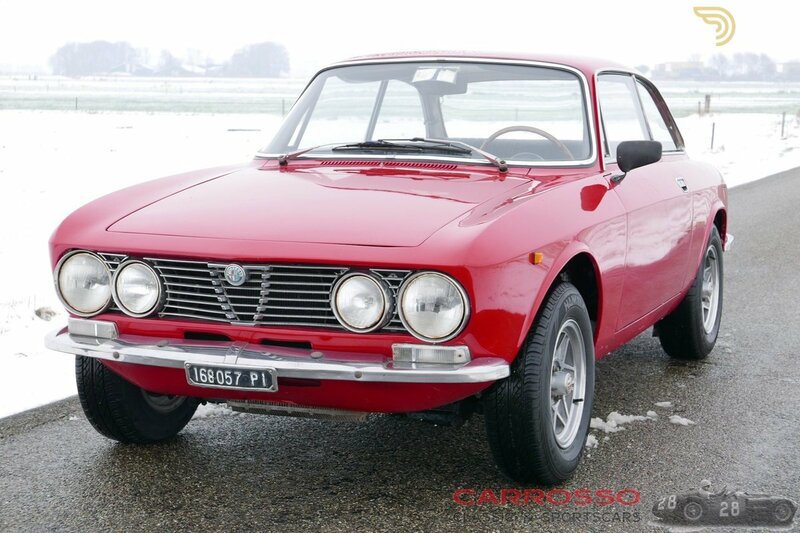 Rarely did we encounter a classic with so much character and charisma. 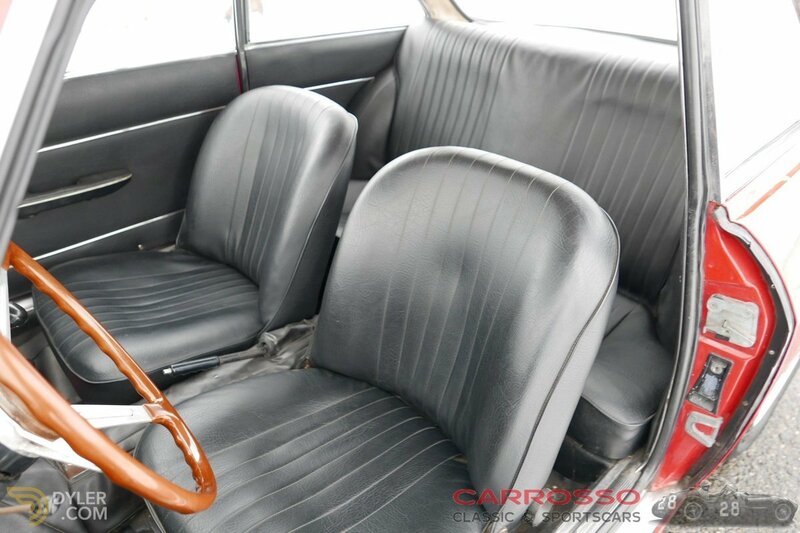 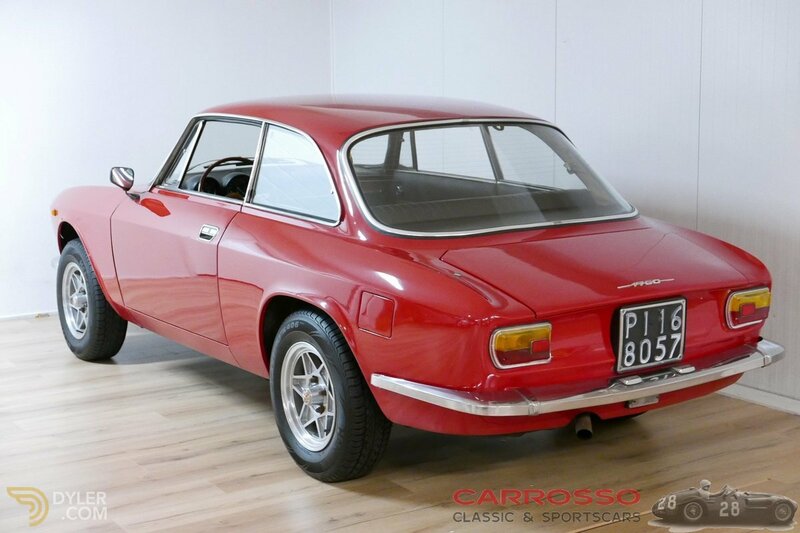 This bella coupe is a unique opportunity to own and drive. 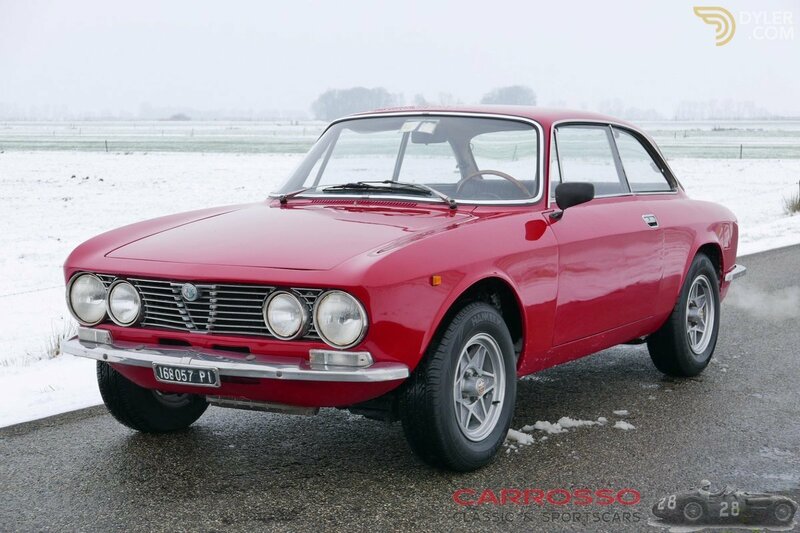 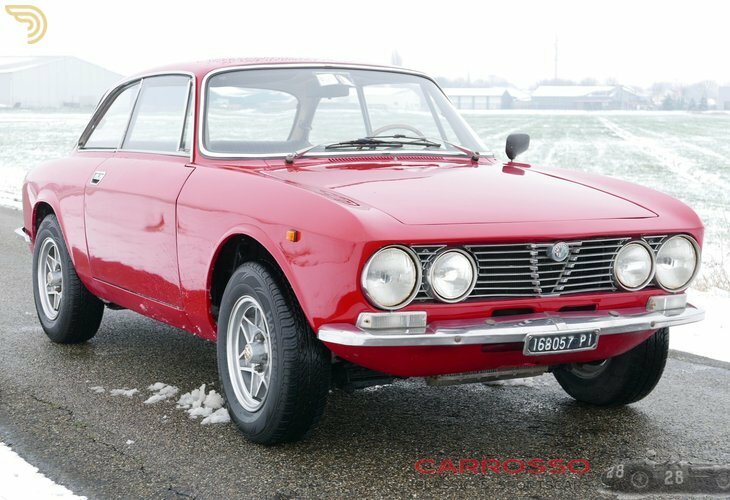 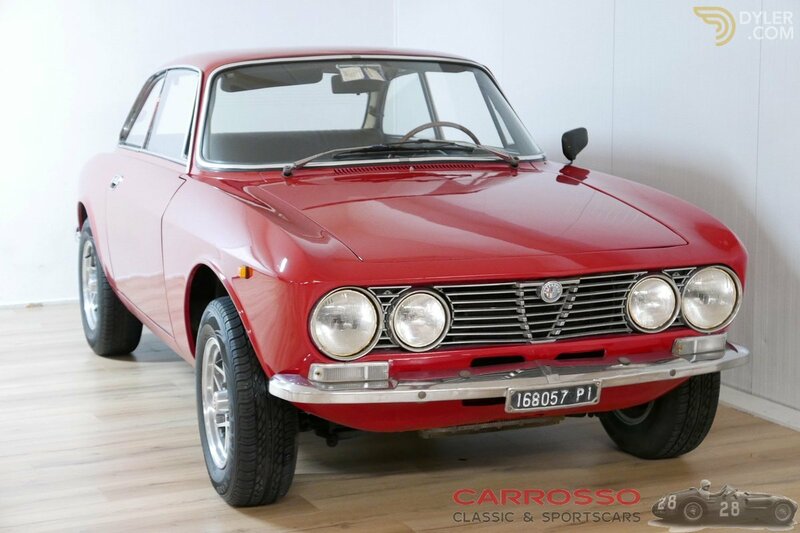 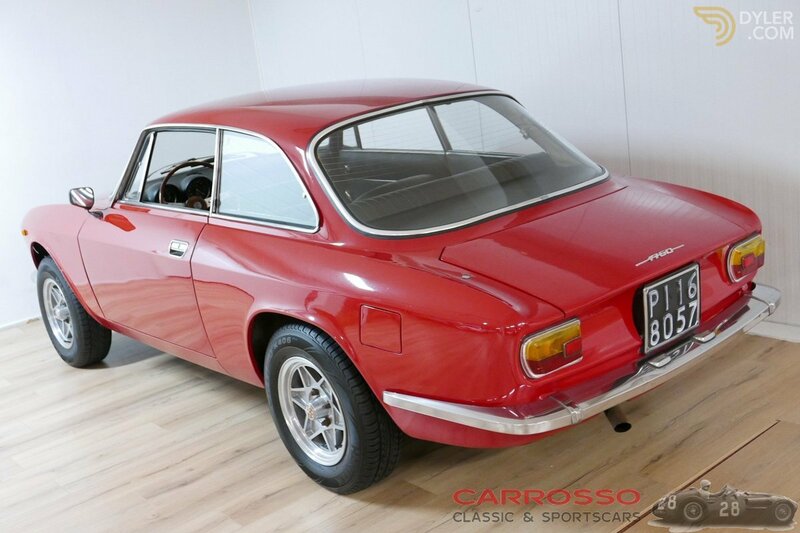 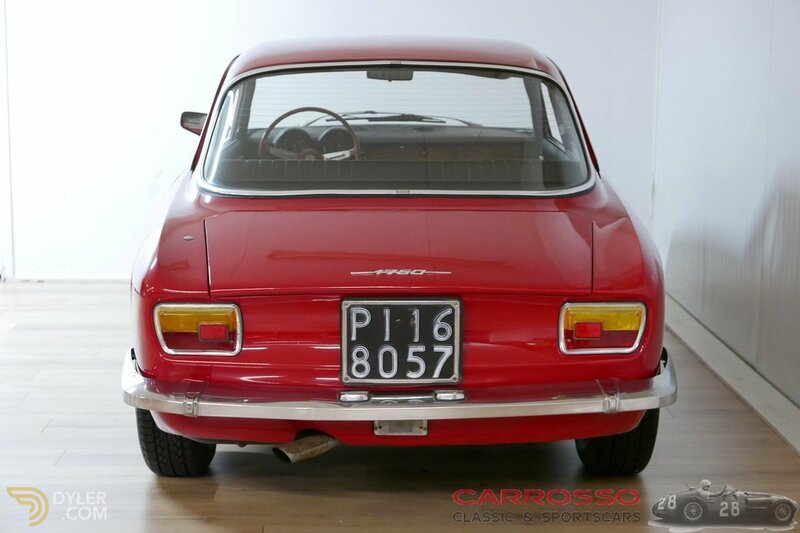 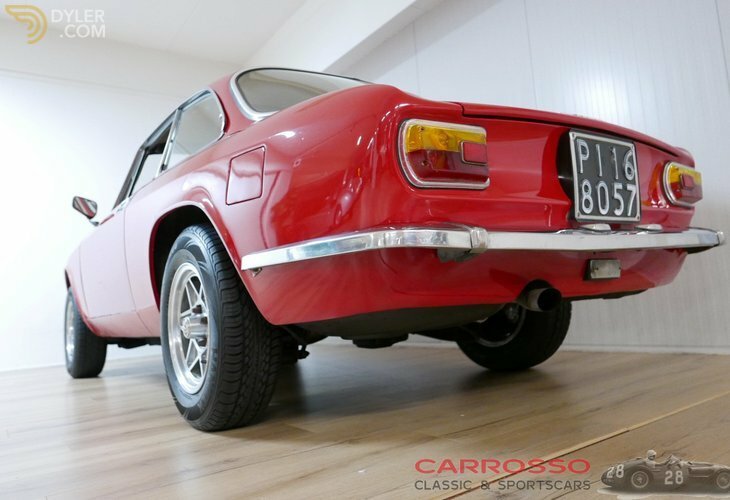 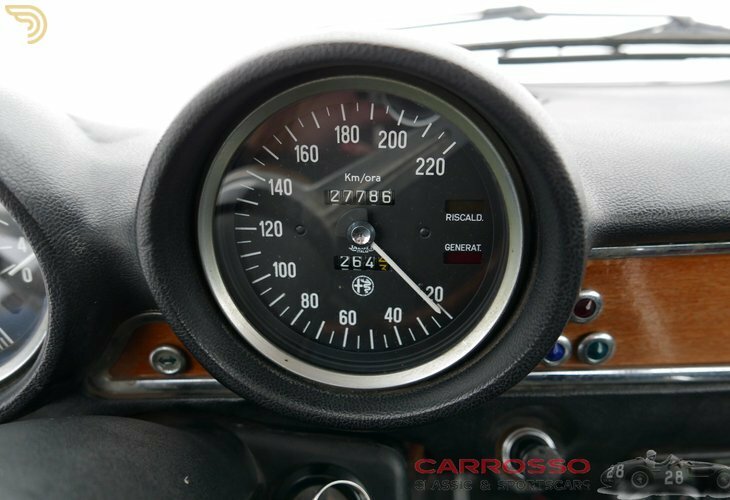 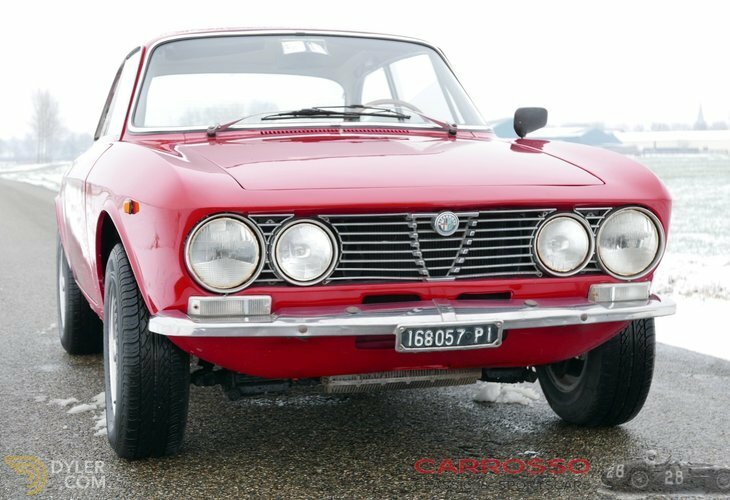 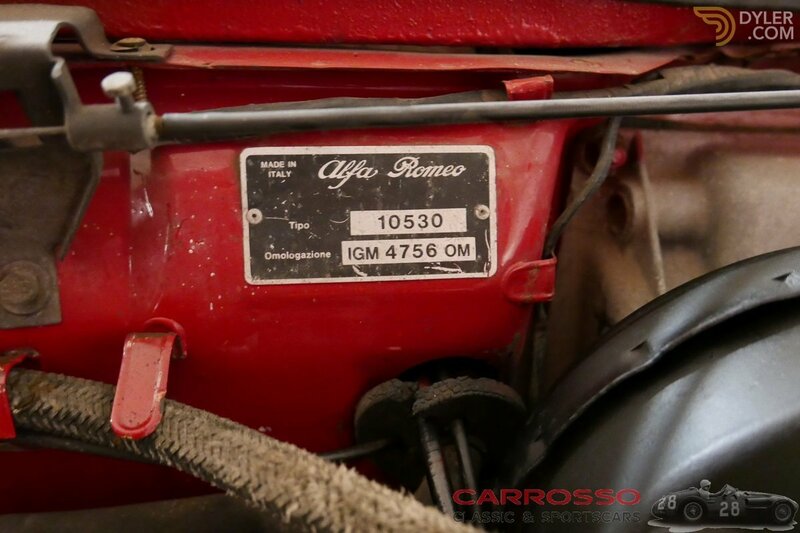 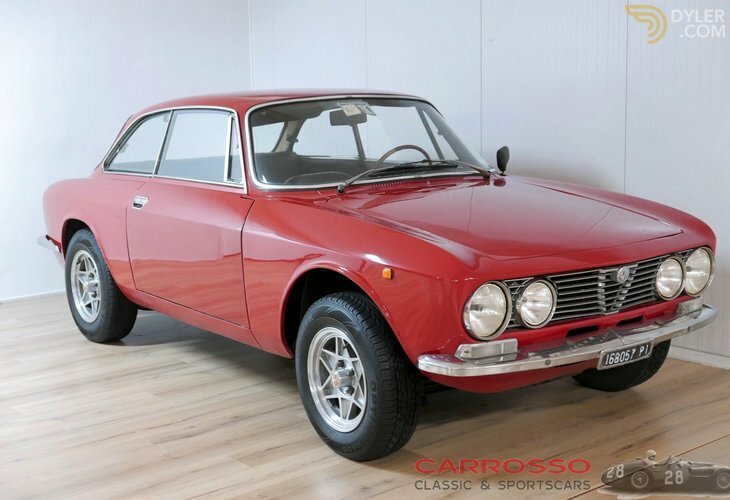 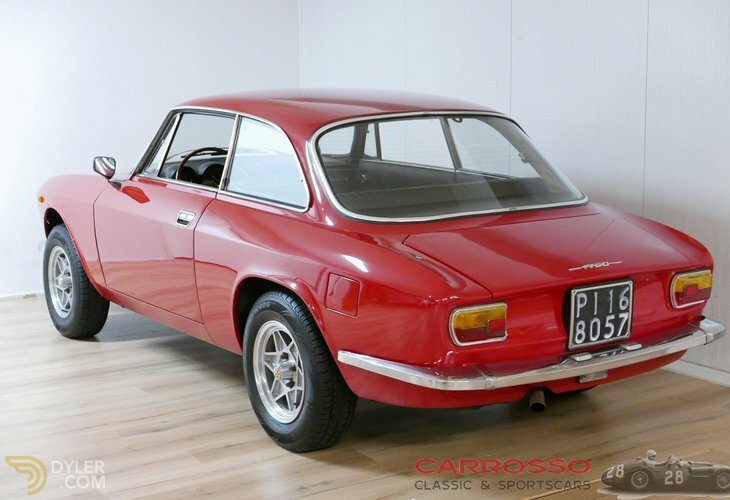 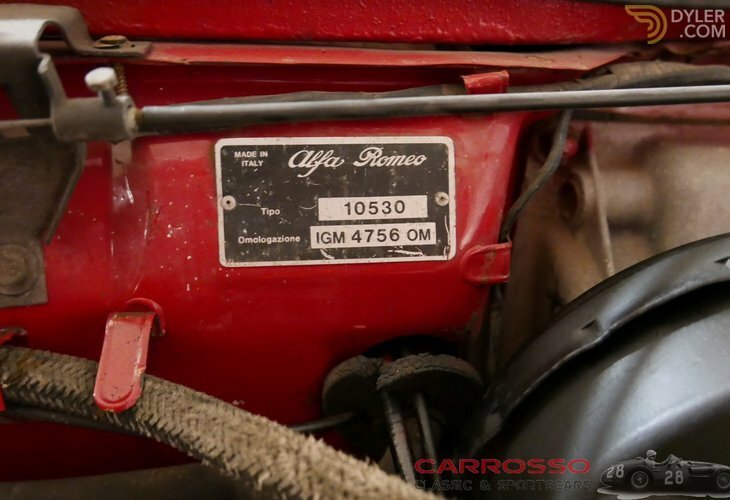 Perhaps the highly desirable quality has to do with the fact that everything on this Alfa is Italian. 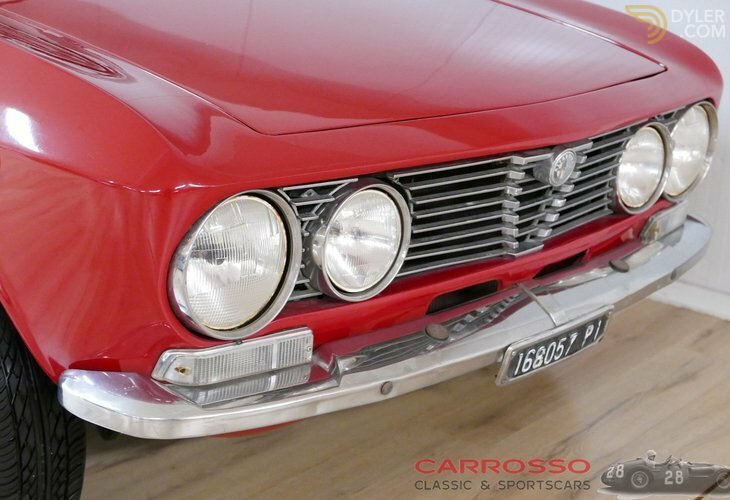 The brand, the design and the history. 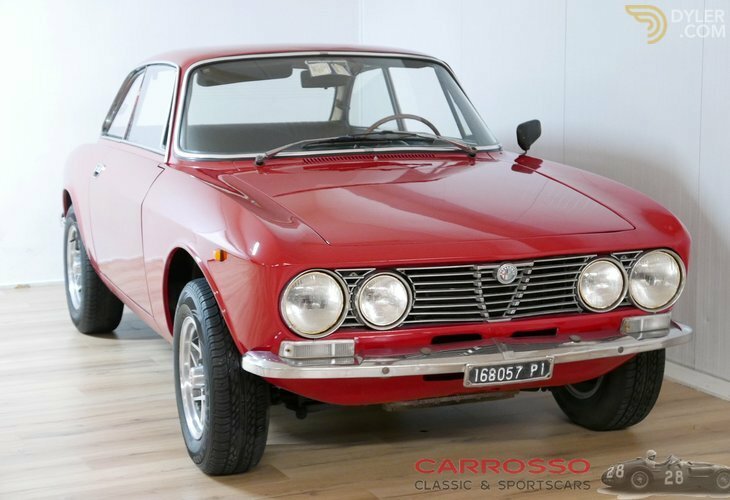 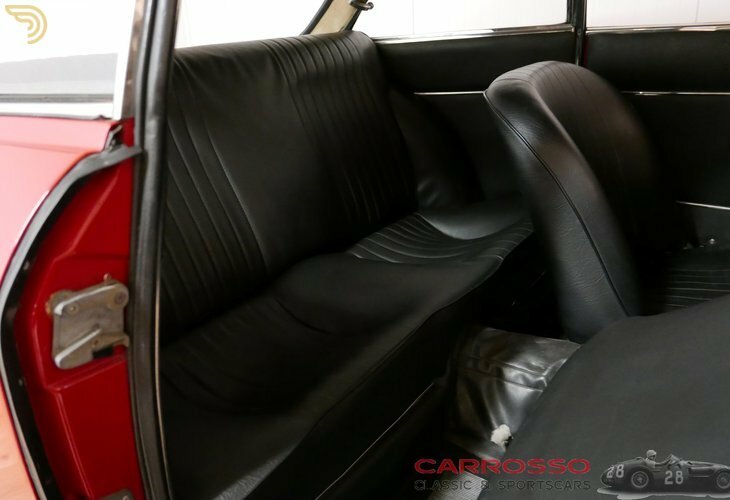 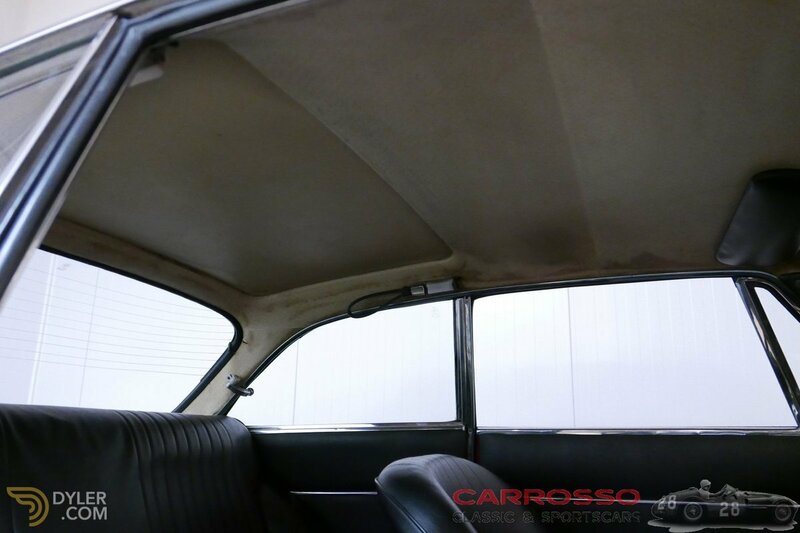 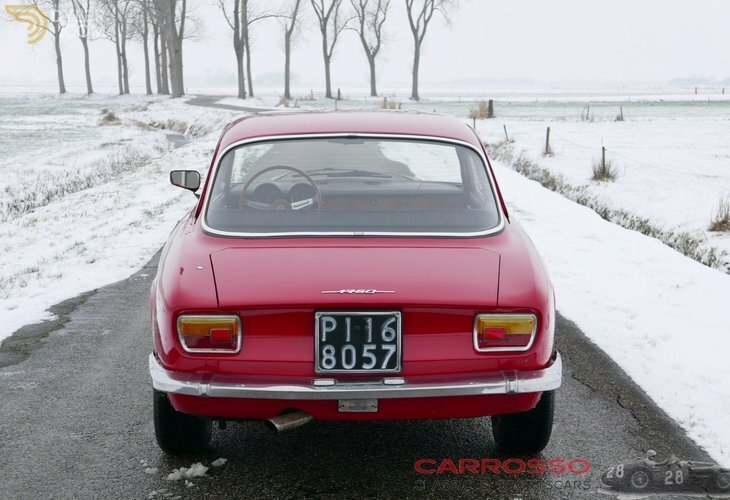 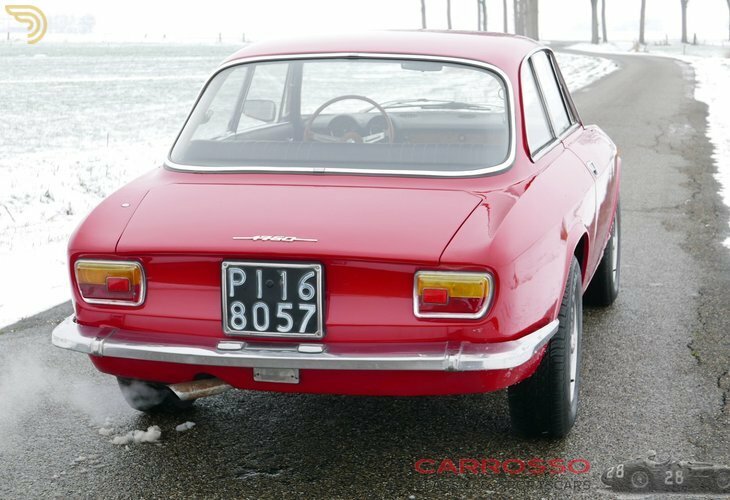 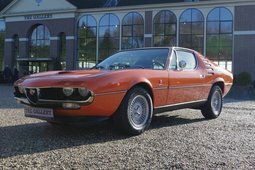 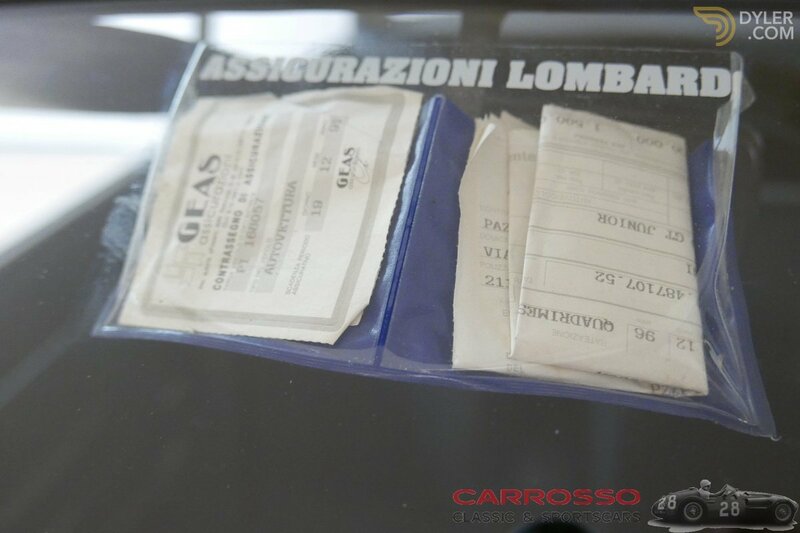 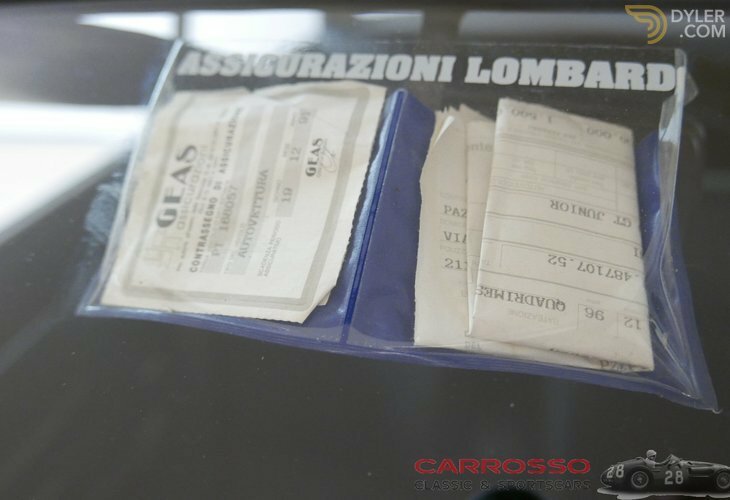 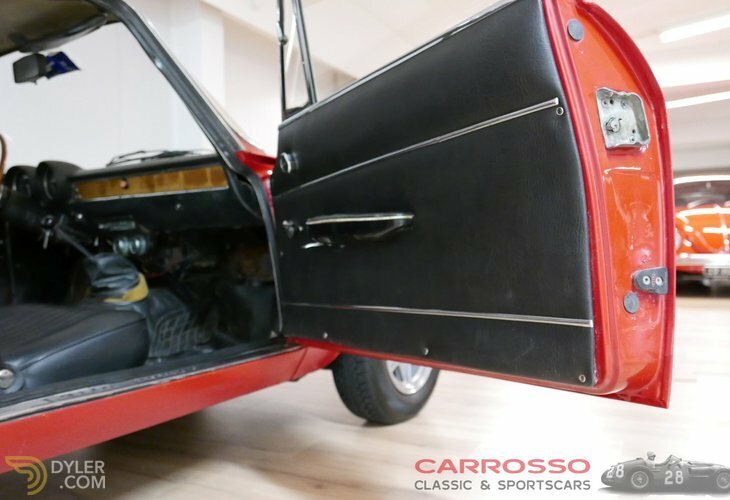 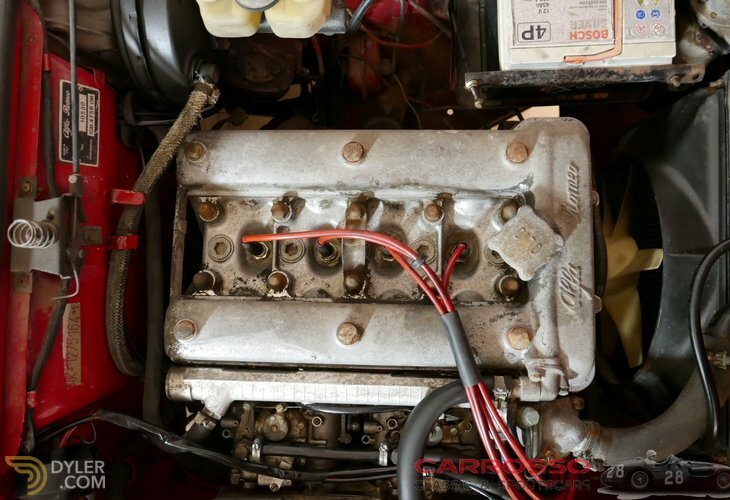 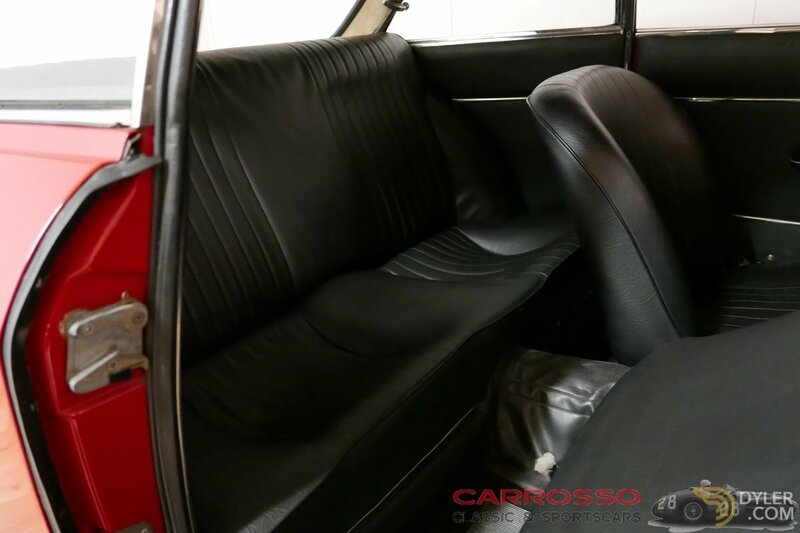 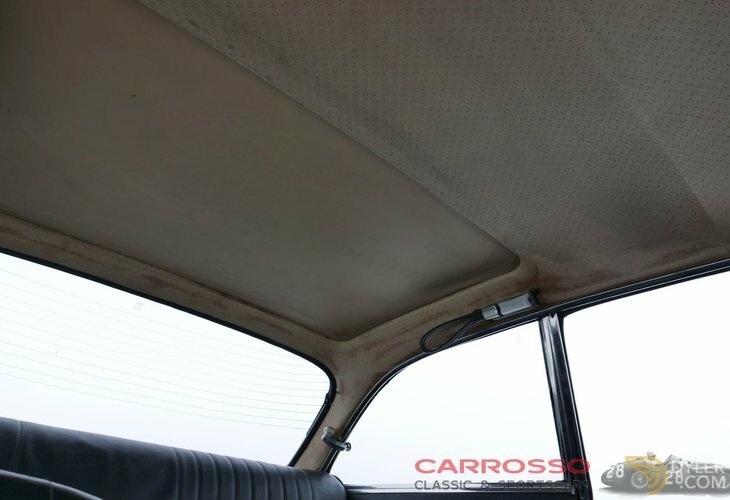 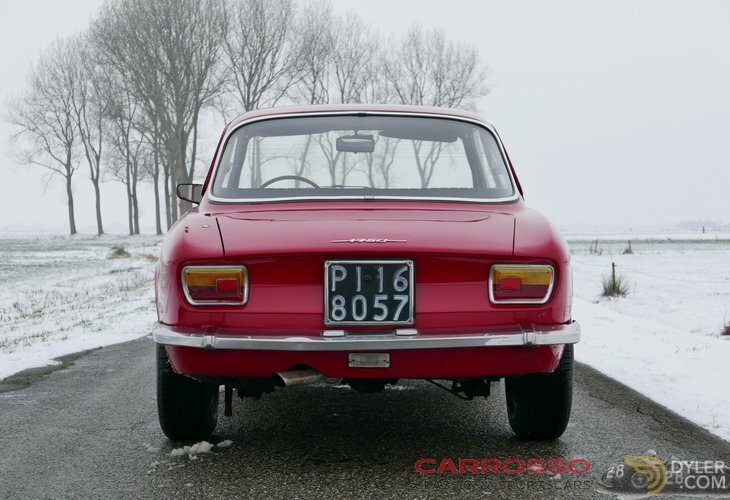 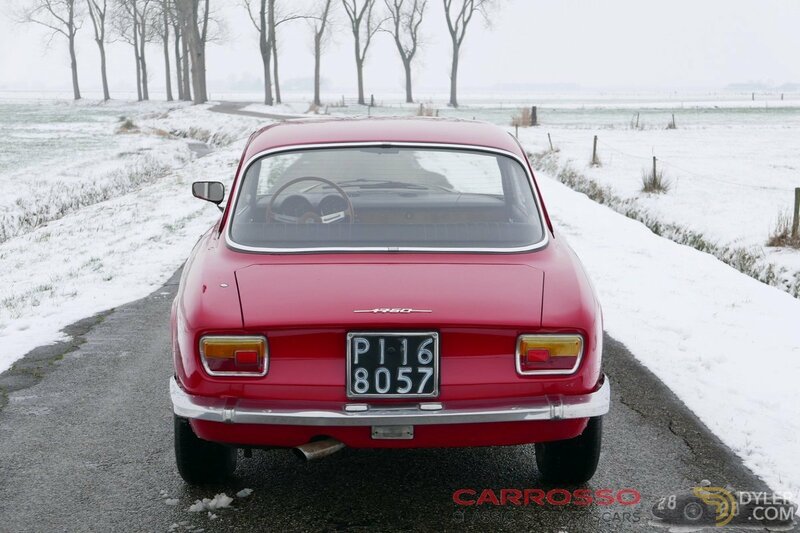 Indeed, this wonderful car was picked up directly from her home country Italy, where the car was stored for 21 years with an Alfa Romeo enthusiast. 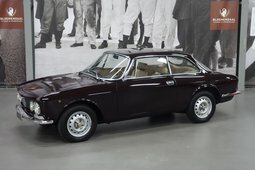 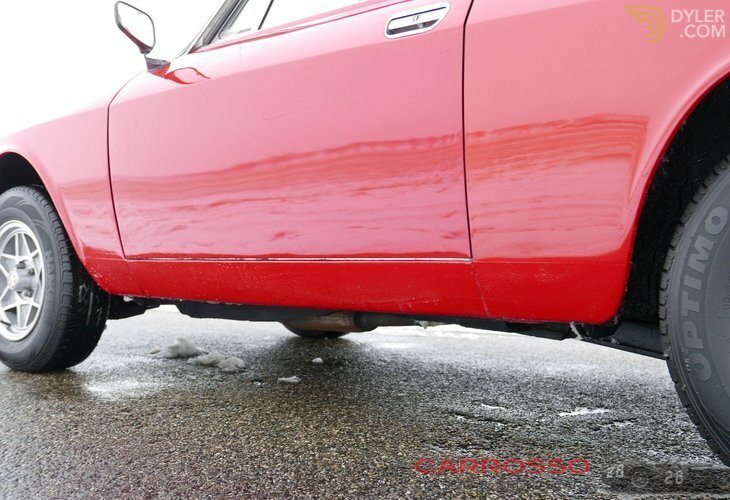 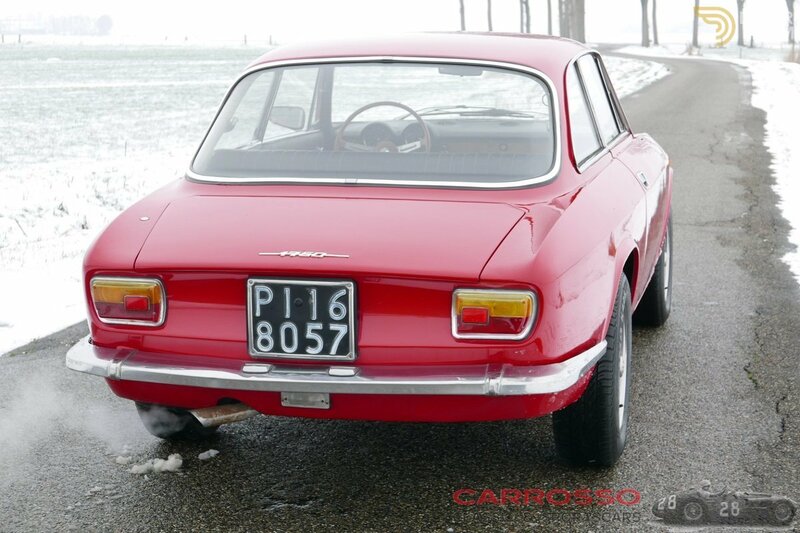 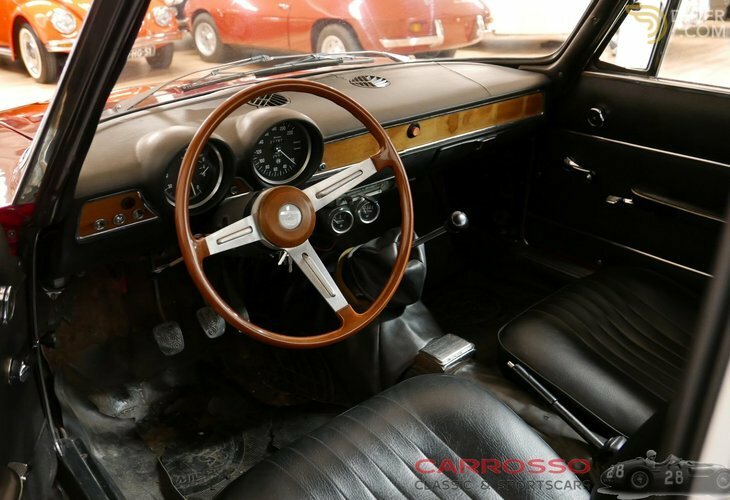 The Alfa is equipped with new brakes and clutch and drives, brakes and switches well. Is still in hard, but good condition. 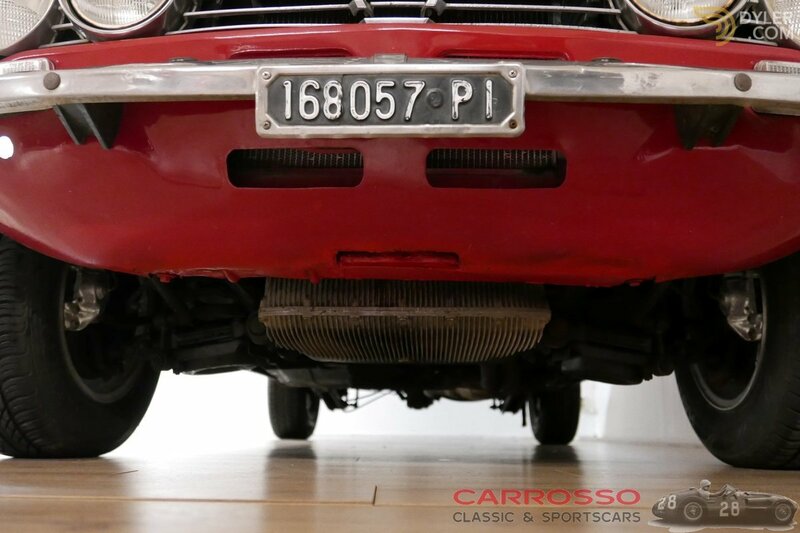 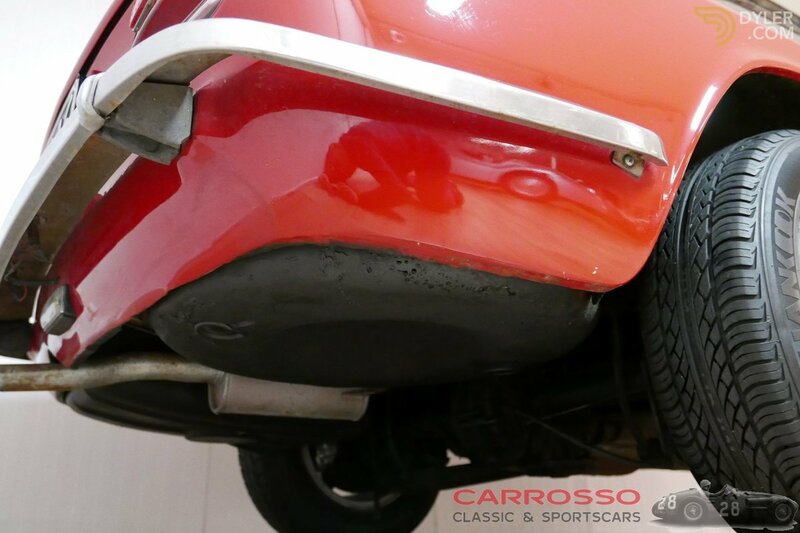 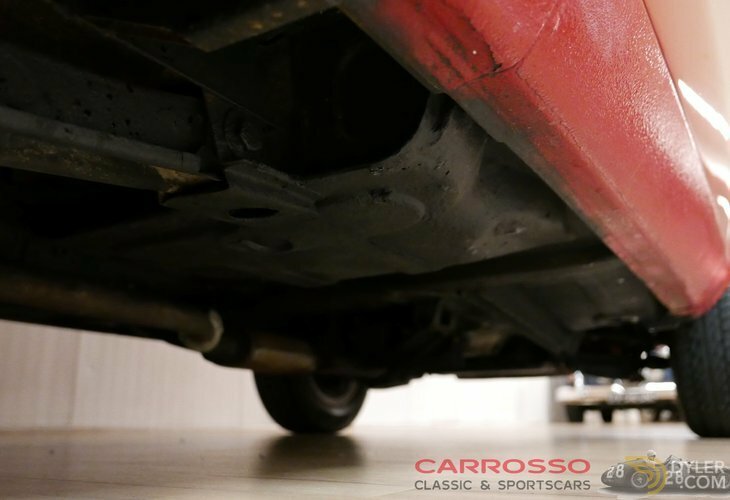 In the past, some welding work was carried out, for example on the front plate under the front bumper and the two bottom plates. 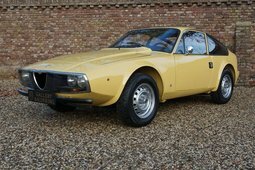 A GT in pure form of state, as we would like to see it. 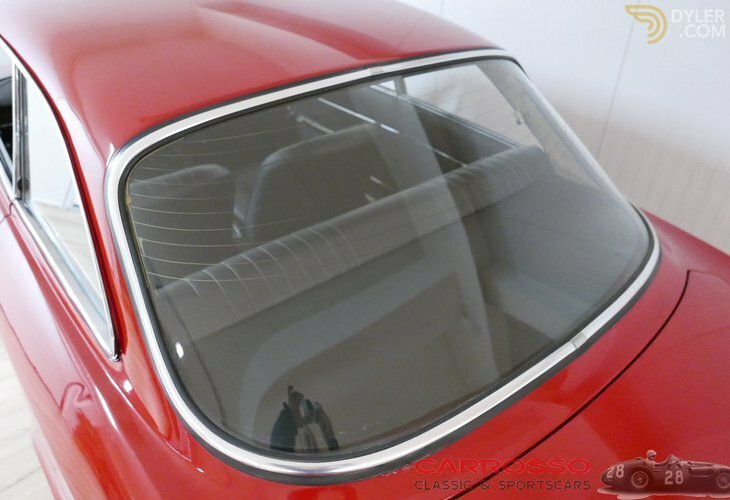 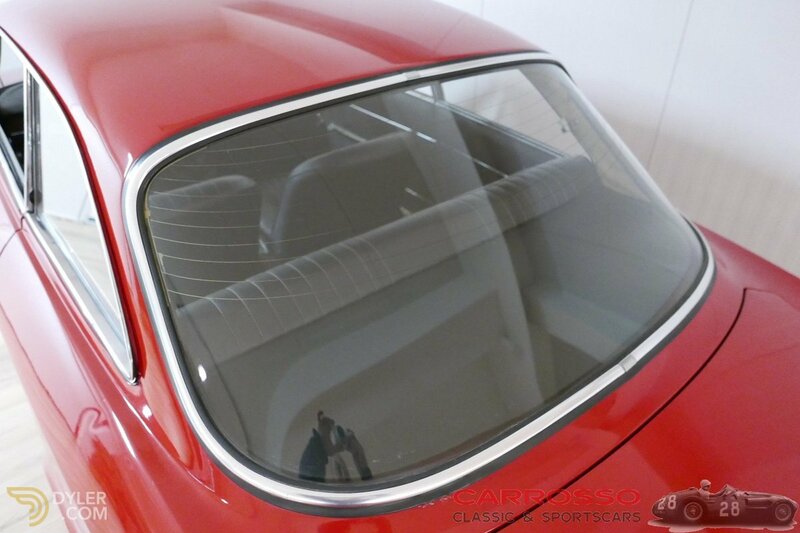 On the boot lid is the 1750 emblem, this is really a 1300 GT and so no 1750!